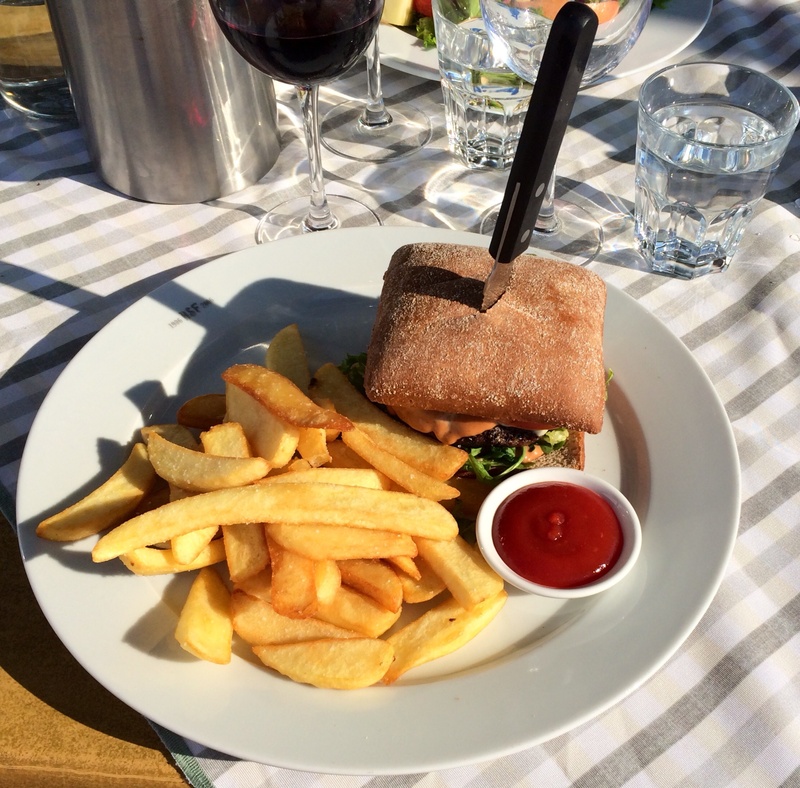 Since 1938, HSF has been the venue for many to spend a happy summer`s day in Hanko, enjoying dinners and refreshing drinks. 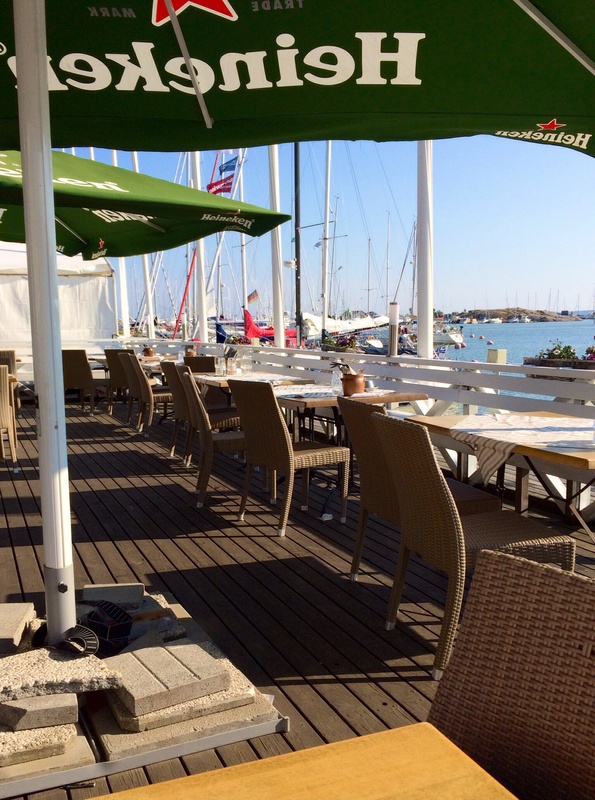 Restaurant HSF combines modern gastronomy and restaurant culture with Nordic traditions and the history of Finnish sailing. The roof, pier and sun deck terraces of HSF are great places to enjoy food, cocktails, wines and of course champagnes. 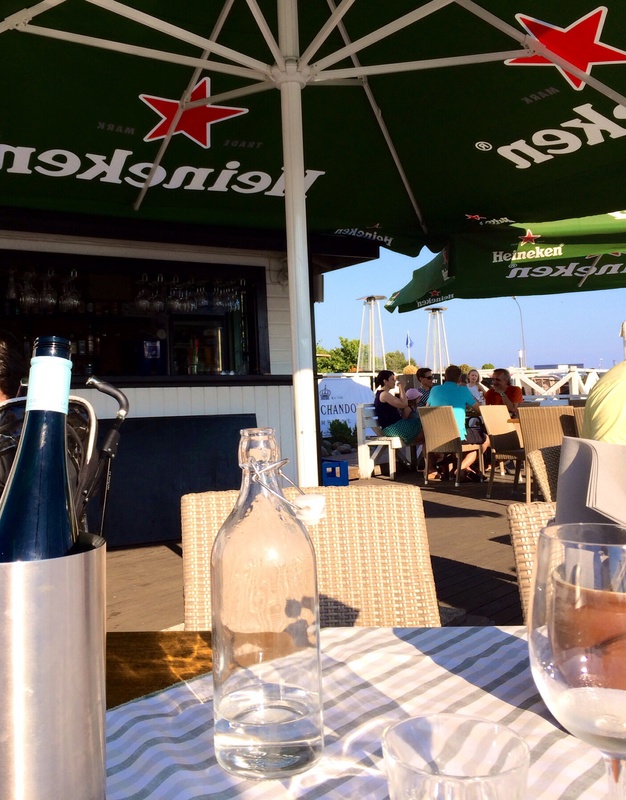 If you dine at the pier (terrace downstairs) as we did, you can enjoy of table service. Otherwise you need to order drinks from the bar between sun deck and pier. Menu is quite short, same at the terrace and at dining room inside consisting of 4 starters, 7 main courses and 4 desserts. 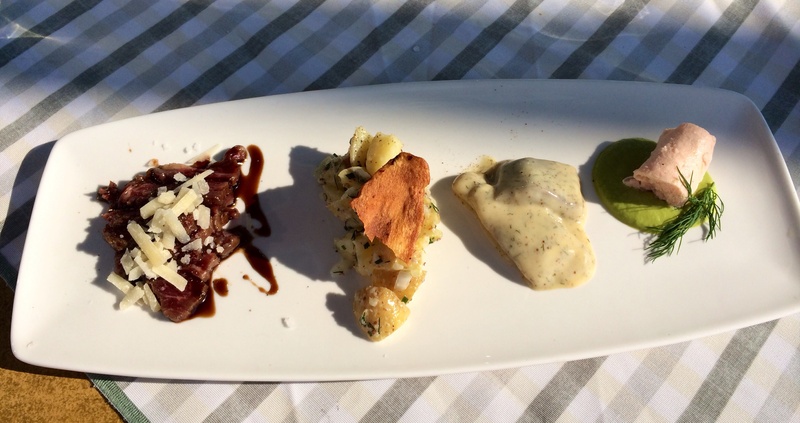 For starters we had HSF Tapas – 4 tastes of summer and Toast Skagen with archipelago bread. Tapas included from right to the left prawn cake, mustard herring, potato salad and beef carpaccio. Excellent ensemble, on hot summer day herring tasted great and carpaccio was really tender. 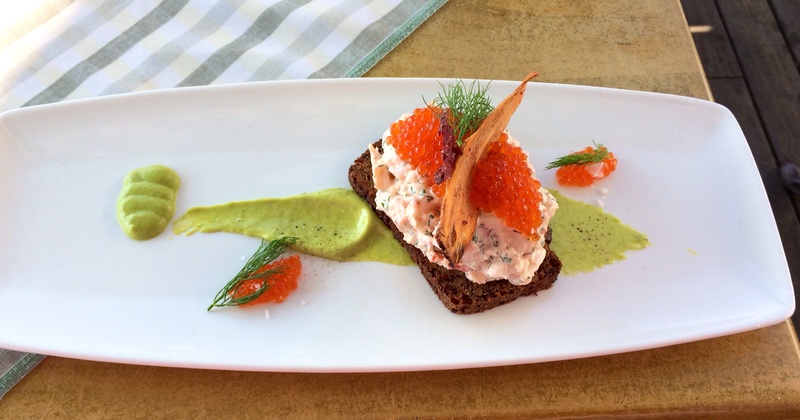 Toast Skagen was also delicious, the amount of roe was princely. Both portions included tasty avocado dressing. For main courses ordered Salad with roasted chicken and avocado dressing and HSF burger Full steak, gouda cheese, tomato slice, onion and BBQ mayonnaise with French fries. 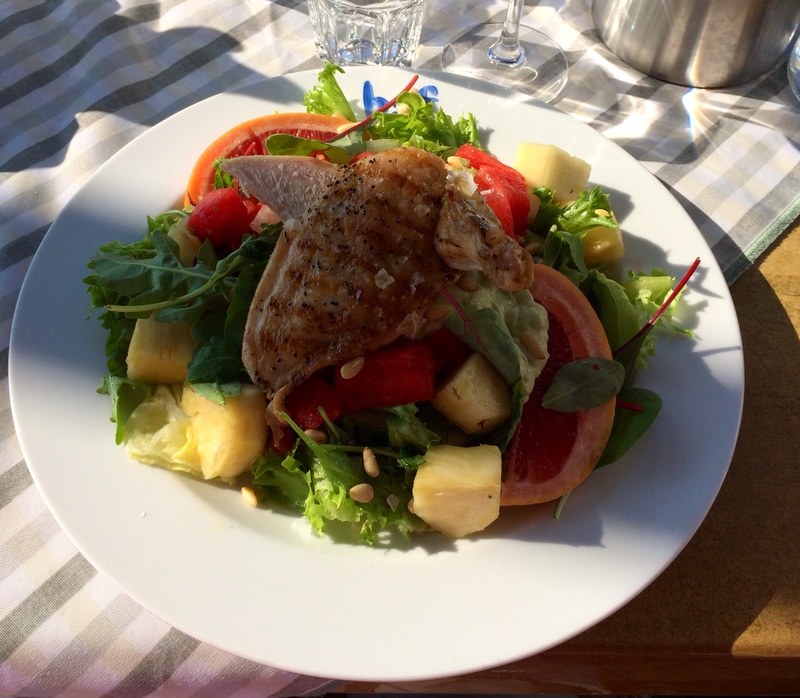 Salad included pineapple, melon and grapefruit which made it juicy. Chicken was a little bit over roasted but otherwise ok. Burger bread was not white which was welcomed option. Steak was enough thick and medium and therefore succulent. And for desserts Ice-cream portion of course and Coconut brulee with pineapple compote. 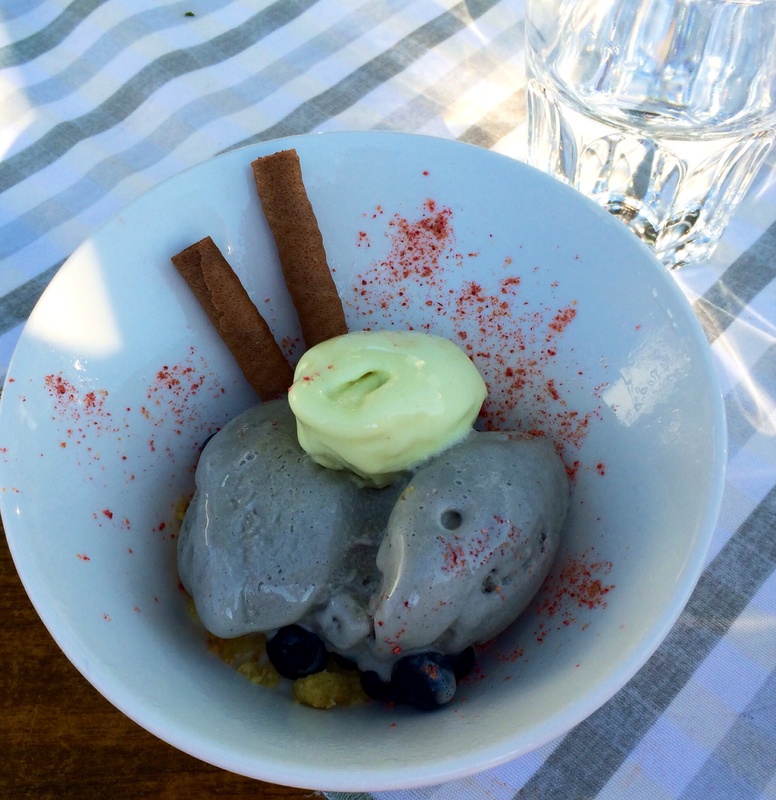 For ice-cream chose licorice and mint ice-creams, both enjoyable. Licorice is Finnish speciality which you must try if it is available. 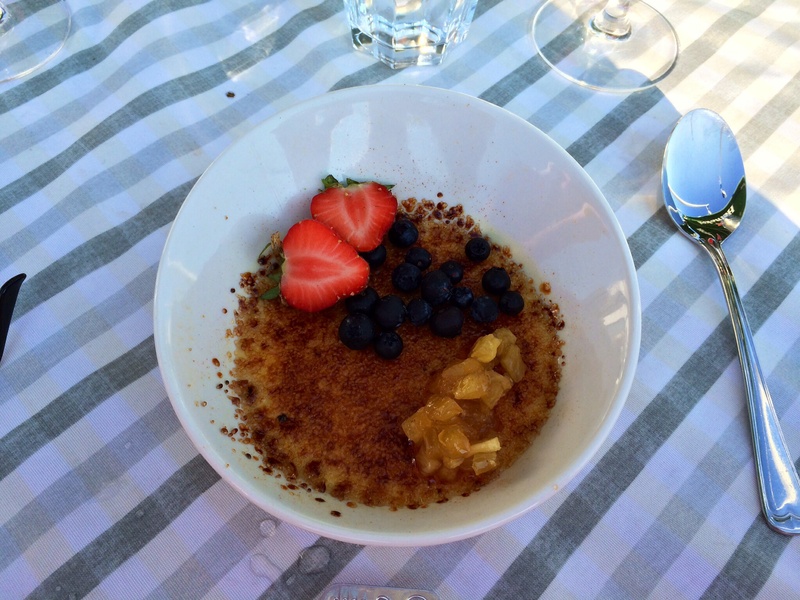 Coconut brulee was also delicious but taste of coconut could have been stronger. Some berries made the portion more colorful. 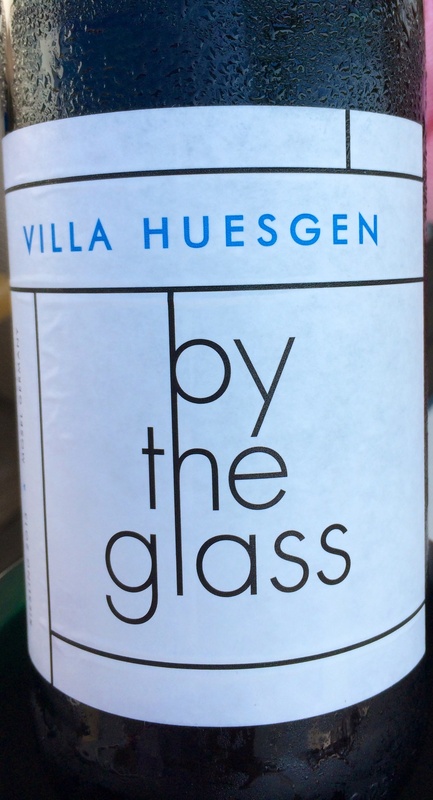 Wine chosen was Villa Huesgen by the glass which is modern and fresh german riesling. Paired extremely well with starters and with chicken salad but had glass of red wine (real glass not bottle) with HSF burger. Interesting name for wine, “by the glass”! 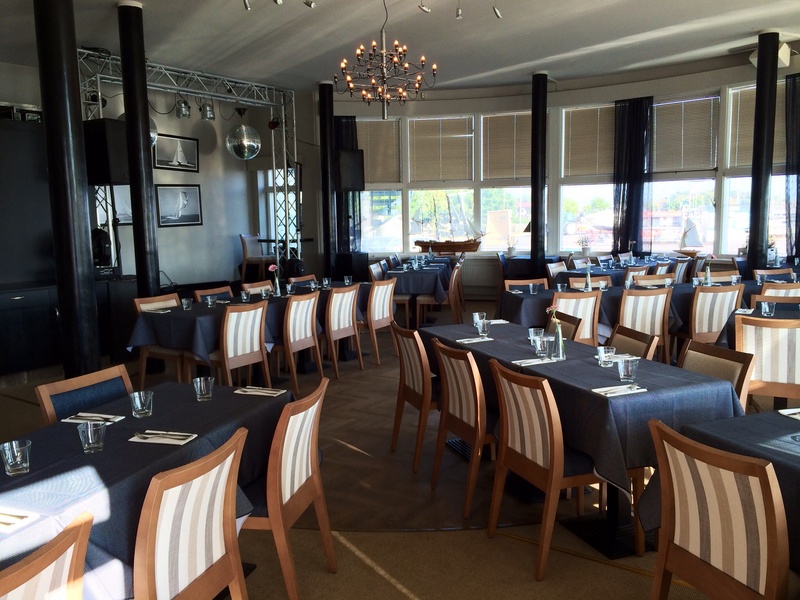 You could also dine at round restaurant building but if weather allows, choose pier. We ate between lunch and dinner time and due to timiing there were some empty tables. During rush hours all tables are occupied and especially during weekends. Summer season starts from Mid Summer and ends about in mid August. About 27C degrees at 6PM in Finland is marvelous and therefore each opportunity to eat outside raises overall grade. Food was great and service polite and customer-sensitive. If you decide to eat inside, ask for window tables opening to harbour.